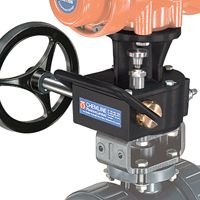 Chemline offers pneumatic actuator positioners suited to every application, from heavy-duty use where control might be strictly pneumatic (YT-1200) or where compressed air quality might be less than ideal (YT1000 or YT1200); where valves must move to specific positions or freeze in place during power or signal failures (YT-2500, YT2700); where easy reprogramming is required when changing a process (YT-2500, YT2700, YT3300); where space is at a premium (YT-2700); or where minimal air must be used (YT-2500). Chemline positioners are available with accessories such as outlet air pressure gauges or inlet air filter regulators. 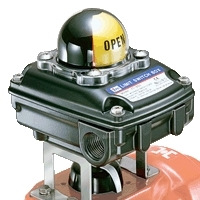 Limit switches are for On and/or Off valve position feedback. YT Series Limit Switch Boxes are CSA SI labelled / UL listed. 2-position units which are easily mounted to P Series or any other NAMUR compliant rotary actuator. They are compact and robust, featuring quick-setting switch cams, high visibility position indicator beacon and a quick-access cover. 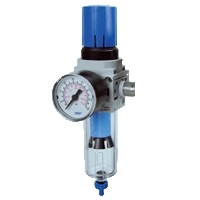 A filter/regulator is required to protect pneumatic equipment with small orifices from clogging due to debris and to protect from corrosion or fouling due to excess oil or condensed water in the air supply. Chemline includes an air filter/regulator with all positioners mounted to actuators. 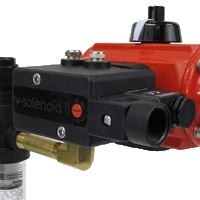 Chemline recommends they also be supplied with all pilot solenoid valves. The MO Series Manual Declutchable Gear Override allows manual valve/actuator operation of actuated valves in case supply pressure fails. The unit is mounted between the actuator and the valve mounting bracket. For normal powered operation the worm gear is disengaged by moving the lever bar upwards. Construction is epoxy coated cast iron housing with aluminum or welded steel hand wheel. These rugged units are suitable for indoor and outdoor use. The self-locking worm gear design offers safe and easy operation, positive manual positioning and long life.